Browse websites, watch your favorite videos and connect to public Wi-Fi. With AppVPN you can feel real online freedom while being anonymous and secure. VPN grants you online privacy and anonymity. You do not need to register or login and we do not track or keep logs from any user. Feel free to visit your favorite websites and keep your online secrets safe. Access numerous Websites and Apps! VPN gives you real online freedom. Just slide "ON" and browse your favorite websites, use popular apps, watch online video and meet new friends worldwide. 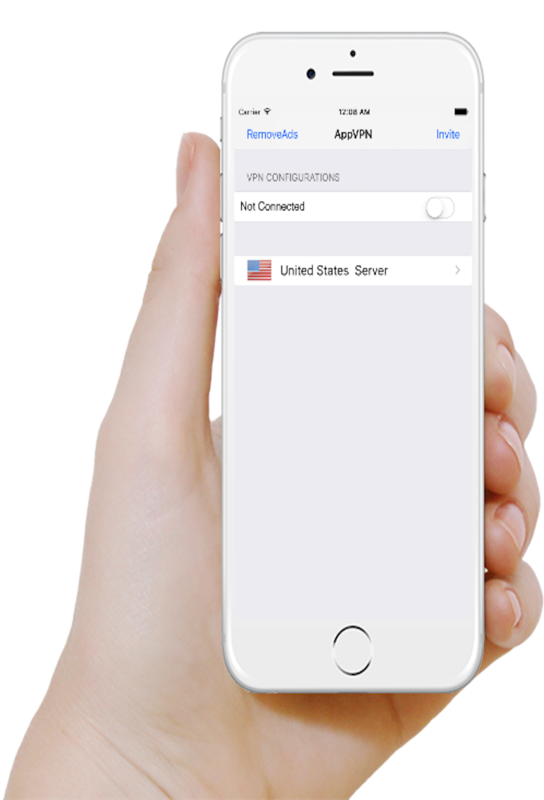 VPN builds up your online security. Protect yourself against someone sniffing on your connection with advanced AES 128 bit encryption and IPsec protocol on all our servers. Just slide trigger and feel free to connect to any public Wi-Fi or open network without concerns. What Is Actually Happening After You Slide "On"? © WCOMES Technologies Limited. All rights reserved. Apple, the Apple logo, iPhone, iPad, and iPod touch are trademarks of Apple Inc., registered in the U.S. and other countries. App Store is a service mark of Apple Inc. All other trademarks are the property of their respective owners.